During the week at the CND (which started last Monday), we discussed with country delegations the possible ways forward, being afraid of unwanted precedents in the procedure. But finally today, it happened as some had predicted: China withdraw its proposal while saving face by saying that this allows for more data collection. How serious this "more data collection" is, is in this stage not completely sure. 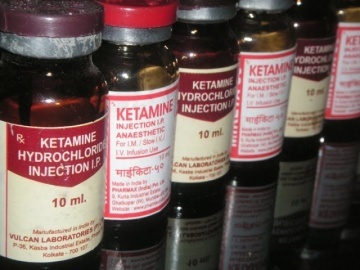 It may be that we never hear back about ketamine scheduling, but some vigilance is needed in the coming years. I thank all who were contributed once more, and I dare to do so also on behalf of the others who were involved in a core team of campaigners (which I am not going to list, because we were a fuzzy network which' composition changed every now and then).